Do you want to share old blog posts automatically across social sites? We can manually share the contents. But it is not practical to find and share each of them. Isn’t it? The old posts may be precious gems of your site. But they become valuable when you show them to others. Otherwise, they are just stones. Bloggers should share old contents among social accounts to unlock more traffic. They can forget the part, if able to find any suitable plugin to automatically do the job on behalf of them. It should pick up posts on the site and share on social networks at frequent intervals without any further intervention. Revive Old Post is such a plugin to keep your old posts alive by automatically sharing them and driving more traffic to them from Social Networks. It is free and easy to manage. 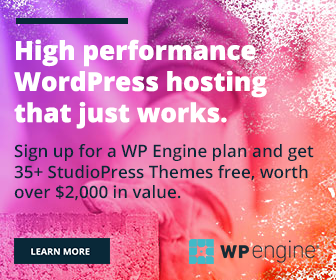 Sign in into your WordPress site and visit Plugins > Add New. Search for Revive Old Post. Install the plugin from the list. Activate. Now you can see a new top-level menu under Settings in the left sidebar, Revive Old Post. Tap the first sub menu with the same name to configure the plugin. There will be six tabs in the default plugin menu. It needs to connect with your social profiles and pages for auto posting. Select your accounts and grant necessary permissions to the app. You can find out these options in the very first Accounts tab. Free users can connect maximum two accounts maximum. One each account on Facebook and Twitter. While connecting Facebook, it will ask you for Facebook App details which can be easily created and collected from developers.facebook.com/apps. After entering the required details, you will be able to connect the plugin with Facebook. Choose where do you want to share the posts on the social network. Whether it is on profile or page. Set your post destination and Save. Go to General Settings tab and manage your sharing frequency, the number of posts to share at a time, the minimum and maximum age of posts. Select any category to include or exclude them from sharing. Your blog may contain some news related posts. They will be outdated after some hours and we shouldn’t share them after a couple of weeks or months. So assign a News tag to them and exclude which from auto sharing. In Post settings section, you can manage the nature of posts. Revive Old post can share posts with relevant hashtags to maximize its social reach. Choose from where it can fetch your hashtags. Ask the plugin to create hashtags from categories, tags or custom fields in your site. To insert additional common hashtags, type them in the Additional text field on the same page. Save your settings and tap Start Sharing from the bottom to begin. Check the last Log tab regularly to make sure everything is working fine and posts are shared on time. Do you want to learn about more effective methods to divert traffic to the old contents? Read How to Recycle Your Old Blog Post; 14 Ways for Regenerating the Traffic.